Social Media is an extension of your company. Think of it as a gateway for your customers to hear your voice and get to know your brand personality. With that being said, do not take social media posting lightly! First and foremost, make sure your content is aligned with your overall brand. You want to be sure you are sending a consistent message across all forms of marketing. Platform selection is critical, so make sure you are sharing information in the right way for each platform (i.e., LinkedIn- more professional; Facebook-more casual, include pictures; Twitter- real time activity, quick sharing and quick moving). In regards to content, it is more about SHOWING rather than TELLING. Above all, the most important thing to remember is to not remain idle when it comes to social media. Consider it like a newborn child: needy, confusing at times, but when you pay attention to what works, you start figuring out what to give it. It is a beautiful thing when you nurture and raise it right. 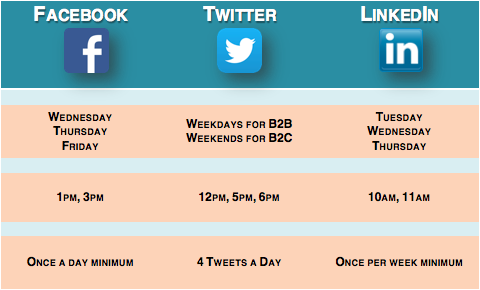 Need help starting or tweaking your social media campaign? We can help!